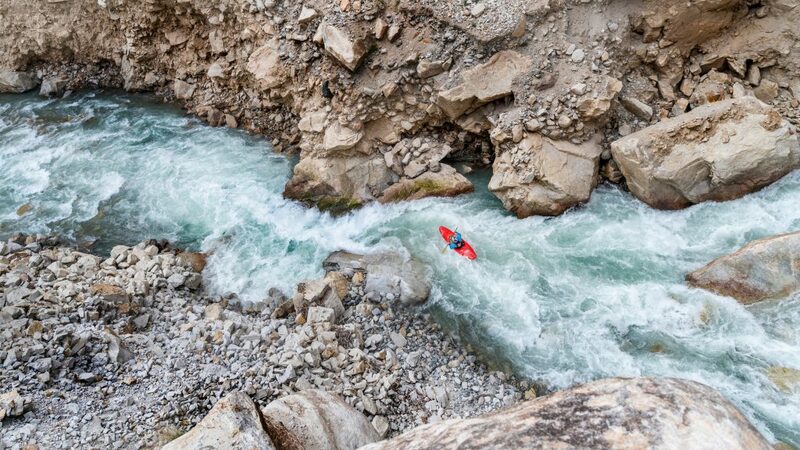 French kayaker on her ultimate week-long voyage of self-discovery. For Nouria Newman, it was the ultimate voyage of self-discovery. Alone with only her kayak for company for seven days last August, she survived an accident en route to the finish 375 kilometres later. 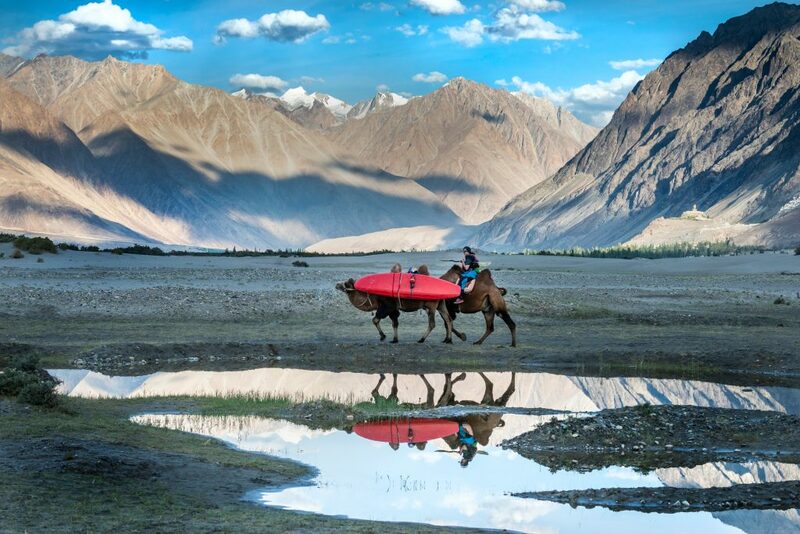 Tackling the treacherous rivers of Leh, she kayaked down a trio of rivers: the Tsarap, Zanskar and Indus, often in dangerous conditions and glacial waters, and sleeping by the riverside each night. I never planned to go to northern India, I originally flew to India for the Malabar River Fest. Because of the floods and administrative difficulties, it proved impossible. But I told myself that if I went back to France now with all this built-up frustration I would never come back. That is when I decided to stay longer and head north to achieve my goal. The pictures were superb and so appealing that I decided I just had to do it. And what about the decision to go solo? I was a bit done staying with people all the time because in India, at least in Kerala, you are never alone. It was really nice but, after two-and-a-half weeks, I was a little tired of it. So, I made up my mind and decided to head north on my own. It was going to be cool and it did not look too difficult. But on the safety side, it was business as usual, except I was on my own. How big a challenge was the water? How serious was the accident? The Zanskar had an enormous amount of water and, when I reached the Indus, well, it was really huge. On the second day, I arrived in a bit fast, I told myself “come on, go for it” but I missed a small move, it put me off and I got stuck in a pocket of water. This is the worst-case scenario in my sport. Once you’re there, you don’t have a ton of options. I took my waterproof bag out of my kayak and put it on a rock. I stuck my paddle somewhere and tried to stabilise myself. I took a strap and carabiner from my life jacket with the idea of clipping my boat on and, once the kayak was safely clipped on, the aim was to jump on a rock. But I slipped and fell into the water pocket and felt myself being pulled to the bottom of it under a rock. At that moment, I didn’t know if I would ever manage to get out of there. Eventually, I reached the surface again but I had to swim the whole rapid to catch my kayak. Had I lost it, it would have been all over because I was alone. How do you prepare for a moment like that and cope with it? I’ve done a whole lot of expeditions over the past two years and on each one I’ve gained experience. But it’s very different each time, things always happen and you’re not necessarily ready for them. There are tough times, you need to get your head down, not think too much, not stop even if it hurts as nobody is going to come and rescue you. It’s a bit like a video game when you lose a life. At the time, you think: “I lost a life, I was lucky’. Were there any other mishaps? 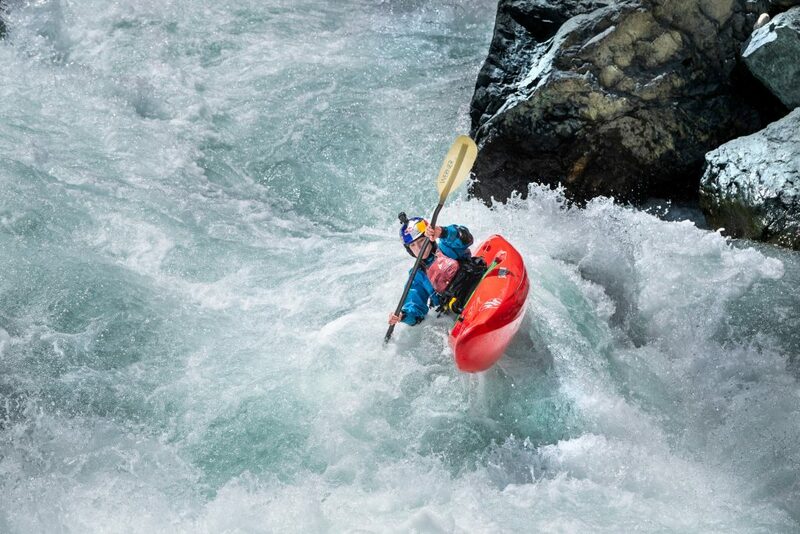 The next day, I had another moment in the first big rapid but it helped me a lot, and the rest of the journey was fine. I sort of started from scratch. And meeting a group of young monks helped get me back in the mood. When they played with my kayak equipment, I understood the reason behind everything I do… it’s only a game, to have a good time. What was it like when you finally reached the finish? I felt a lot of relief. It was a strong experience and I realized that maybe I prefer to go with friends. It’s not just for the safety aspect when things get really tough but also for the cool moments in the big rapids when you want to share it with someone else. I really felt vulnerable and had a proper look at what my guts are made of. 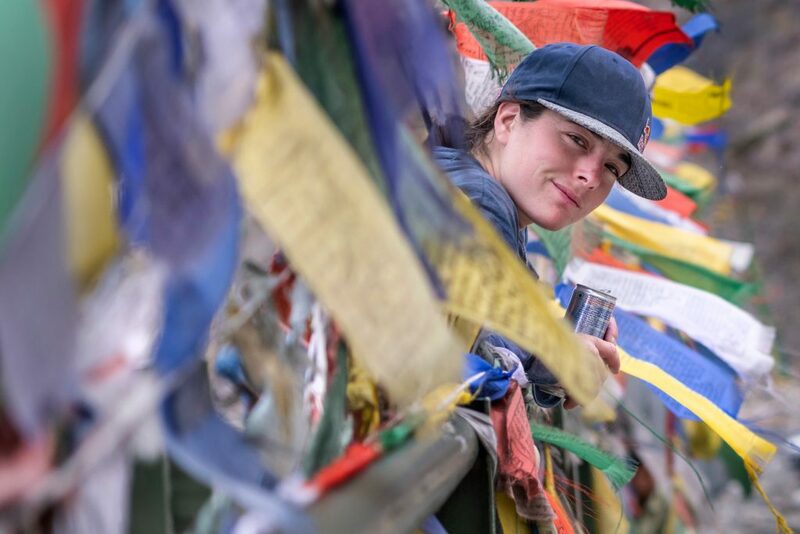 After India, I thought, “I am fed up of being afraid, I don’t like it at all.” When I think back to this expedition, I have so many conflicting feelings that I cannot reach any sort of conclusion. I don’t know if I want to go for another solo trip. When I got out of it, I thought “never again”. Now, I am not so sure. This entry was posted in Adventure, Featured, Global News, Interviews, Lifestyle, Travel, Water by admin. Bookmark the permalink.